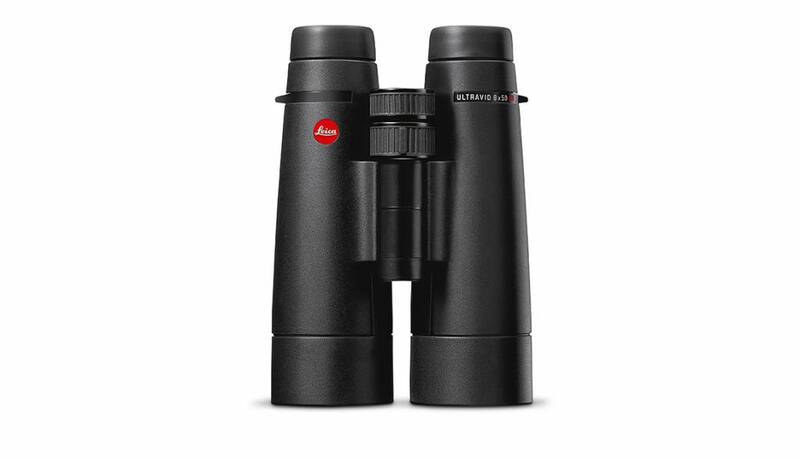 The Leica Ultravid 50 HD-Plus binocular provides exceptional contrast and outstanding image brightness that other binoculars with larger front lens diameters can hardly rival. The fluoride lenses ensure optimum image clarity and resolution power. Thanks to the large front lens diameter, it is particularly suitable for observations at night and in the hours approaching darkness. With its ideal combination of high transmission and perfect contrast, the 8x50 HD-Plus models are truly excellent binoculars for use at night and in low-light. Protects the optical systems from water, dirt and damage. The AquaDura® coating developed by Leica gives crystal clear vision in any weather and protects the lenses from scratches and abrasion. Raindrops simply roll off. Dirt and fingerprints are easily wiped away. Great performers in all situations. The timeless elegant design hides and protects what’s inside: precise mechanisms and the finest optics. The Ultravid HD-Plus binocular is a reliable companion that have been tested under the toughest conditions. Experience nature in razor-sharp detail. The Leica Ultravid HD-Plus is a precise combination of state-of-the-art technology, new coating processes, innovative glass materials and the greatest optical know-how.